The world has been watching the water distress in Cape Town, South Africa, where the taps are scheduled to run dry due to extended drought that has emptied the water reservoirs. In fact, experts tell us that this coastal paradise city is not alone in its water depletion extremity. Literally millions of people around the world live without sufficient access to water; over 1 billion people lack water supplies, and another 2.7 billion find it scarce for at least one month of the year. A 2014 survey of the world’s 500 largest cities estimates that one in four are in “water stress.” In fact, right now, there are 11 major cities on our planet that are most likely to run out of drinking water. Cities like Beijing, Cairo, London, Moscow, Tokyo, Istanbul and Miami. This list makes one point crystal clear: Even if I (or you) may not be personally affected by water emergencies in the areas where we individually live, modern urbanized cities across the entire planet are now under water duress. They serve as the early warning systems that demand global attention! Attention! Attention! In addition, problems that were ignored 20 years ago are in need of urgent correction now, as are other situations that now need corrections in order to prevent water disasters in the near future. Some homes in Flint, Michigan, had lead levels 880 times higher than the federal allotted level. Have disappeared in China over the past 25 years due to significant demand on water supplies. Happen each year due to diseases transmitted by contaminated water such as diarrhea, cholera, dysentery, typhoid and polio. There is a plan underway for 25,000 villages to get clean water wells, and 5,000 wells have been started, as of April 2017. Dr. K.P. Yohannan, founder of GFA World and Metropolitan of Believers Eastern Church, met with high officials in the government in March 2016 to discuss ways in which India’s Christian community could collaborate with the government for the good of the nation. 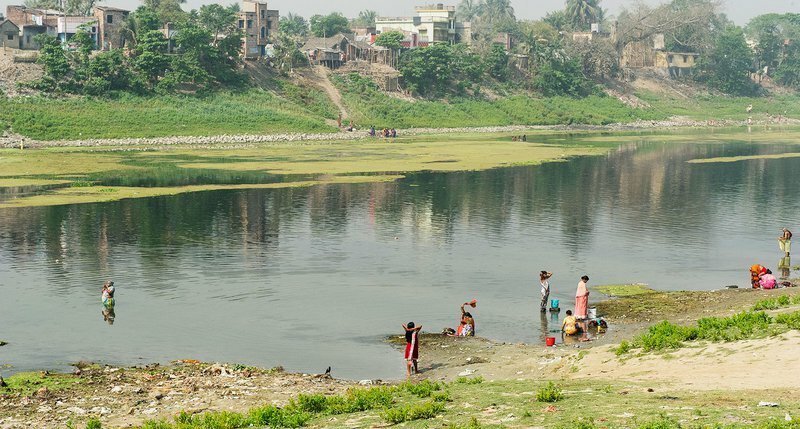 Believers Eastern Church has since been able to work together with the Indian government to work on cleaning up some of the nation’s rivers. In 2016 alone, GFA World was able to help provide 6,822 wells. That is 6,822 sources of clean, fresh drinking water. GFA supporters around the world have allowed the rate of installation of Jesus Wells to continue and to remain consistent, with tens of thousands of wells drilled and constructed in the past several years. Now, the Jesus Well project is one of the largest clean water initiatives in the world. A heartfelt thank you to everyone who has helped provide clean drinking water to countless families in Asia! In 2010, The UN General Assembly explicitly recognized the human right to water and sanitation. Learn more about GFA World’s Water Ministry.